I really appreciate your giving this such a wonderful, thoughtful review, especially since you are not that into reading anthologies! So delighted you found it a worthwhile read. I have a basic question. 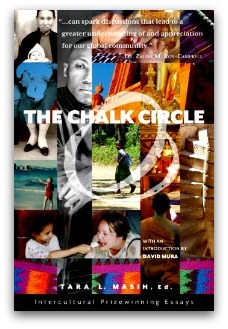 Why is the anthology entitled “The Chalk Circle”? Is that an allusion to the Brecht play or the ancient Chinese play on which Brecht based his work? ML: Thanks for asking. No, the reference is to an older quote from Jane Carlyle to her husband Thomas Carlyle, in 1845. In it she says, “I would draw a chalk circle round every individuality and preach to it to keep within that, and preserve and cultivate its individuality.” There is more to the quote and an explanation of why I used this to title the book in the Foreword.